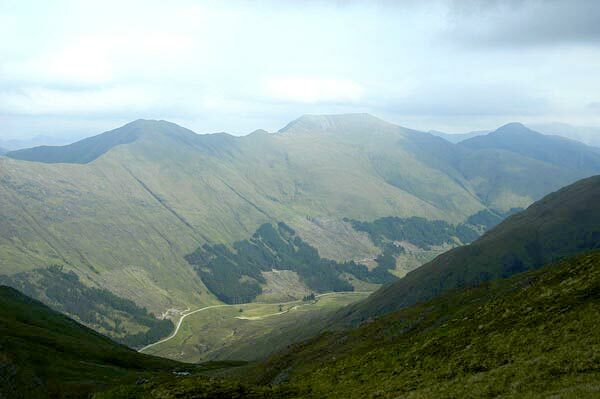 Saileag is the lowest of the Munros on the N side of Glen Shiel, and its summit lies at the convergence of three ridges. 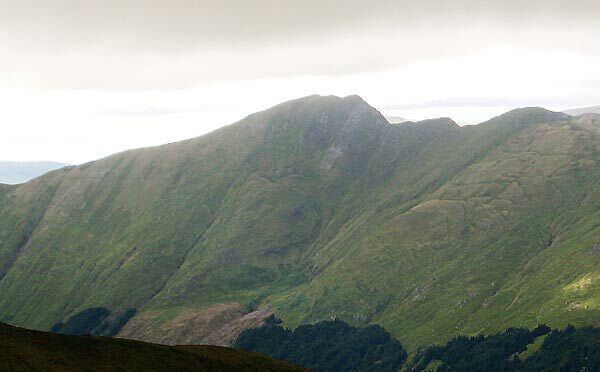 The long rocky N ridge forms the head-wall of Gleann Lichd and connects with the lower slopes of Beinn Fhada. To the ESE a narrow ridge leads to Sgurr a' Bhealaich Dhearg and to the WSW a grassy ridge slopes down to Bealach an Lapain. 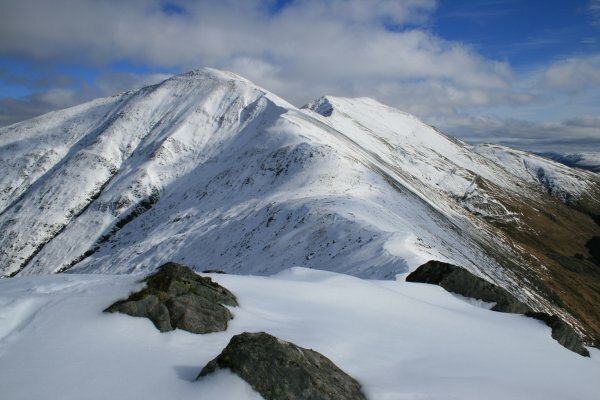 This bealach is the normal route of ascent from Glen Shiel and is also the ascent route for the Five Sisters which lie to the W. Saileag has steep grass S slopes and moderate but craggy N slopes. 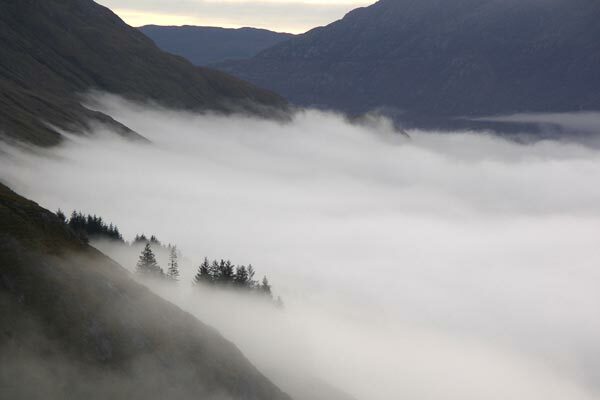 Saileag seen across Glen Shiel from Aonach air Chrith. Looking back to Loch Cluanie. Saileag - viewed from descent of Sgurr nan Spainteach to Bealach an Lapain. Saileag, Sgurr a' Bhealaich Dheirg and Aonach Meadhoin seen across Glen Shiel from Creag nan Damh. The summary information of one or more ascent routes that include Saileag. 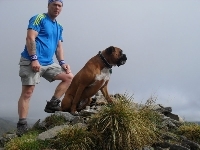 Me and Oscar on summit,14/8/10. Post a few words about Saileag or read what others have had to say. 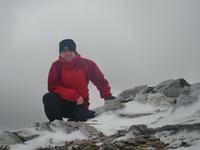 Walked Saileag, Sgurr a Bhealaich Dheirg, then to Aonach Meadhoin with my dog Susie. It was a very wet and cold day with visibility as low as 10'. When the weather did clear the views were fantastic but you need to be careful in bad weather as there are some steep sides. Remember that once you are at Sgurr a Bhealaich Dheirg you need to return on the same path for approx 150m to pick up the path to Aonach Meadhoin.